Domestic Moose: Things to do and a quilting weekend. This weekend my Mom is visiting. Our plan is to do some (or lots of) sewing and quilting. Taking a break at work, I made a short list of quilts that I'm working on or have fabric and plans for. I think I'm going to replace the yellow with a white that I have no plans to use, but I'll see what Mom has to say. The yellow was hers to start with anyway. Destination: Flying Geese Quilt. Eep. 1. 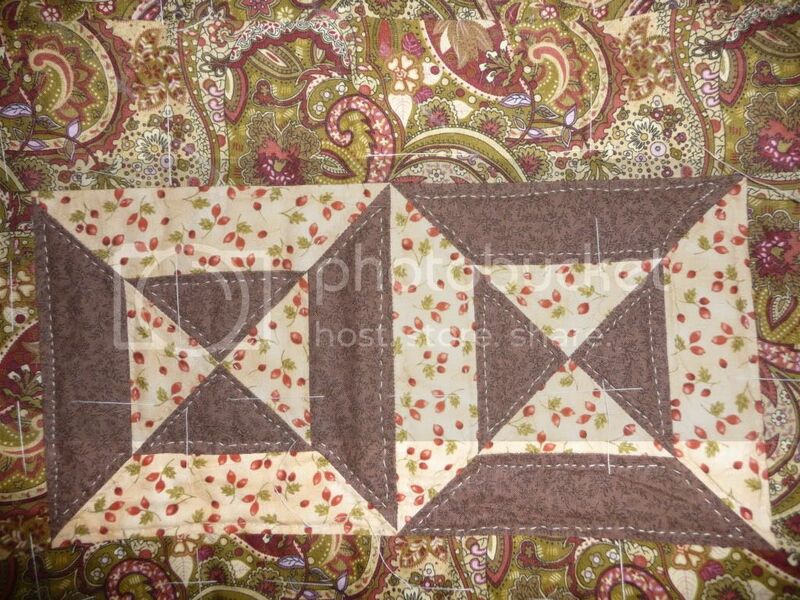 Scrappy nine-patch - needs ONE border, layering, basting, quilting and binding. 3. Batik quilt - I have several batik fat quarters. I've picked a pattern for them. I don't have pictures of this fabric. 4. 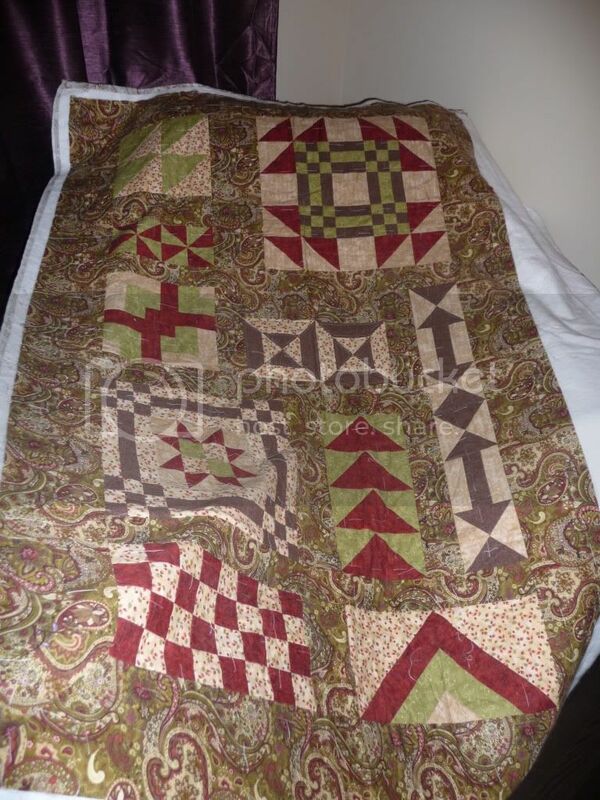 Red, yellow and green half square triangle quilt. 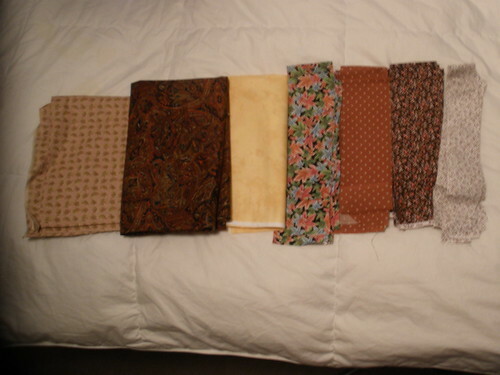 The red and yellow fat quarters I bought not long ago are going to be put into a HST quilt with some dark green I have. The result will probably be very Christmassy. 5. Black & white rail fence - the black and white fat quarters from yesterday are going into a rail fence block with touches of red. 6. Make pillow cases for the kids for Christmas. I suppose that moves the priority on this up. A lot. So there's my list. I hope to update on the weekend a time or two. We'll see what I get accomplished by Monday, hopefully my to-do list will be much shorter!